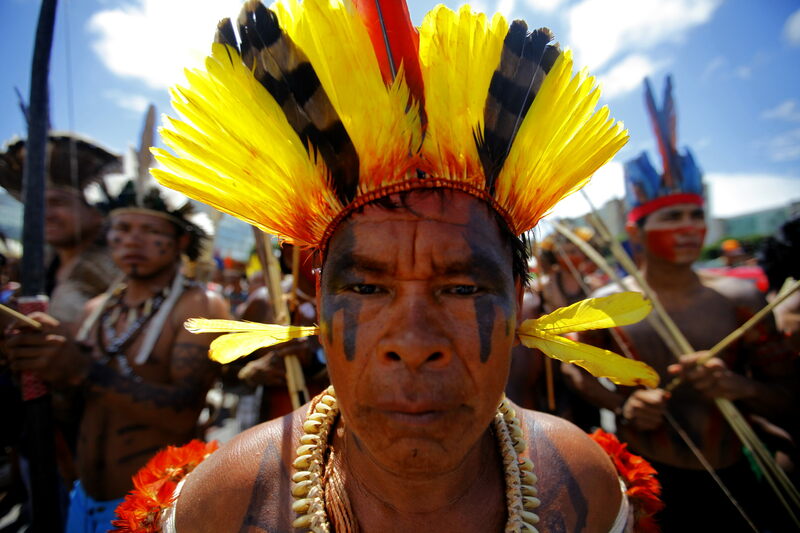 Who's to blame for the deaths of Brazil's indigenous people? The Indigenous Missionary Council, linked to the Brazilian bishops' conference, has highlighted the "continuous omission by public authorities in relation to the rights of indigenous peoples, especially in relation to land rights." In a report, "Violence Against Indigenous People in Brazil," the council, known by its Portuguese acronym as CIMI, said 137 indigenous were killed in 2015, only one fewer than registered the previous year. "The same criminal practices are repeated and intensify without measures being adopted," said Archbishop Roque Paloschi of Porto Velho, CIMI president, who presented the survey in mid-September. "Until when will we have to present these reports?" The report said the number of deaths may even be higher since the government's special indigenous department has already acknowledged that its survey results are likely to be lagging. The Brazilian states where most of the indigenous deaths occurred are also the locations with the largest indigenous populations in the country: Mato Grosso do Sul, Tocantins, Acre, Amazonas, Bahia and Parana. Since 2003, nearly 900 indigenous have been killed in a violent manner in Brazil, the report said. It cited an increase in the number of vicious militia attacks against Guarani and Kaiowa communities in Mato Grosso do Sul. For CIMI, agribusiness projects on indigenous territories in states such as Tocantins and Parana have influenced the number of indigenous deaths. The expansion of these projects into the traditional communities "encourage consumerism, alcohol, drugs and other factors that generate violence" says the report. The council also criticized the delay in the demarcation of indigenous territory. It said the Brazilian Constitution called for all indigenous traditional lands to be demarcated by 1993. However, a recent survey conducted by CIMI showed that by Aug. 31 of this year, more than 650 indigenous territories–more than 58 percent of indigenous lands nationwide–were still waiting to have their demarcation processes finalized.